The Reaction Hybrid SLT represents the state of the art in aluminium e-MTB technology. Whether it's the ultimate drivetrain performance or the best handling Bosch e-bike that you're seeking, it all comes together here in a single, exceptional hardtail.  Our engineers' refined chassis design harnesses the power and versatility of Bosch's proven e-bike technology with CUBE's years of experience in crafting great-looking, great riding mountain bikes. Combined with Fox's plush 34 Rhythm fork, Shimano 11 speed XT gears, powerful hydraulic disc brakes – with a 4 piston caliper at the front – as well as Newmen cockpit components and a remote dropper post, we've cut no corners in our quest to produce the ultimate machine for off-road explorers. Ride further, faster and more often: the trail awaits.